Many techniques exist for painting on fabric, and they provide a wonderful way to dress up plain clothing or even make decorations for your home. You may use fabric paints for this purpose, but bleach makes an unusual fabric painting tool as well. With bleach, you can paint a design on a T-shirt, curtain or even a pair of jeans. 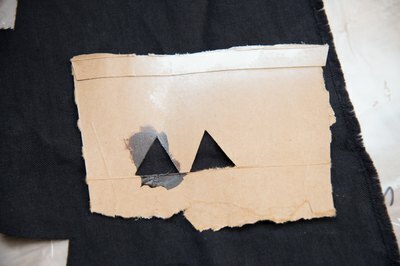 You can even spray-paint bleach around objects to imprint their silhouettes on the fabric. Pick a fabric you want to paint. A 100 percent cotton T-shirt in vibrant colors can make a good choice. 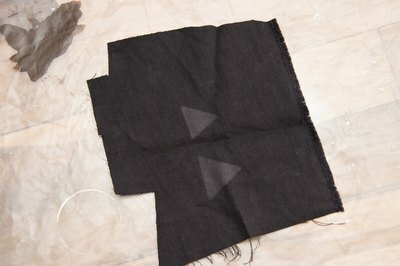 Bleach works on dark fabrics as well. Lay the fabric you want to paint on a hard surface that won't suffer damage from the bleach. Pour 2 cups of bleach into a spray bottle. Choose objects with which to make patterns on your fabric. Some good choices include leaves, flowers, buttons, foam letters and shapes cut out of plastic . Arrange the objects you want to use to create a pattern on your fabric. Simple patterns may work best while you get the hang of painting with bleach. 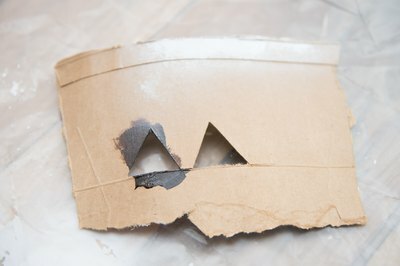 Spray the bleach around the edges of the items in your pattern. 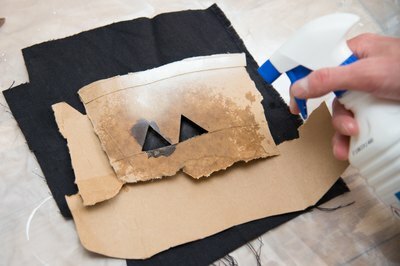 Use a light spray and avoid soaking the entire fabric. Wait a minute or so for the color in the design area of the fabric to start changing. Remove the objects you used to create the design, and place the fabric in a bucket or sink of clean water. Rinse the fabric thoroughly to stop the bleaching action. 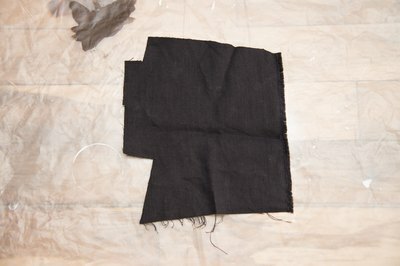 Allow the fabric to air dry or place it in a machine to tumble dry. 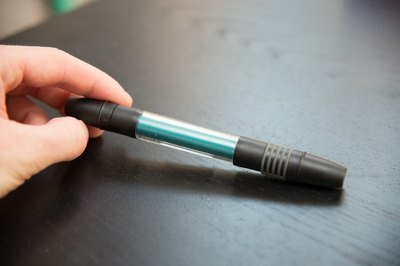 Buy a bleach pen from a local grocery or drugstore. Some department stores may sell them as well. Choose fabric to paint. 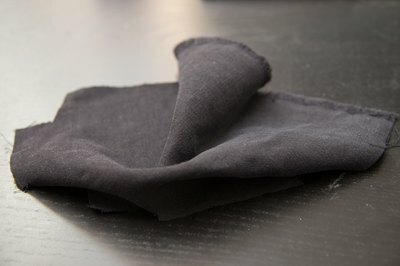 Position the fabric on a flat, hard surface. 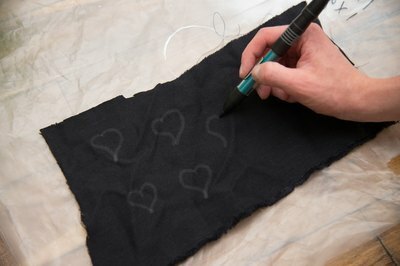 Draw a design on the fabric using the bleach pen. You may trace around stencils with the pen or draw freehand. You may also draw on the fabric with chalk and retrace the design with the bleach pen. Wait approximately 60 minutes for the bleach to dry on your newly painted fabric. Wash the fabric by itself on a normal cycle in your washing machine or rinse it by hand thoroughly with cool water. Dry the fabric on a low cycle in your dryer or allow it to air dry. Place 2 cups of bleach in a small container. Use this as your paint. 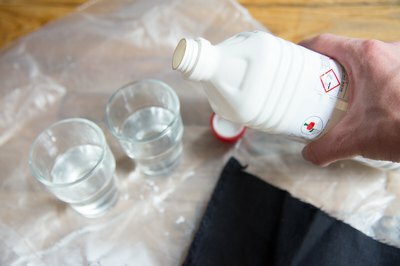 Place the fabric you want to paint on a flat surface that can come into contact with the bleach without risk of damage. 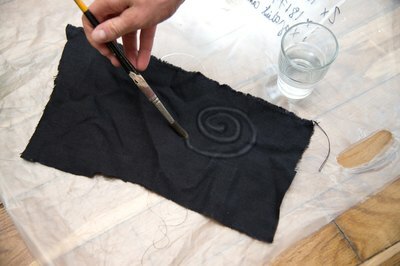 Paint a design on the fabric by dipping a paintbrush in the bleach and using it to paint on the fabric. Using stencils or tracing over a design drawn in chalk may make this easier. 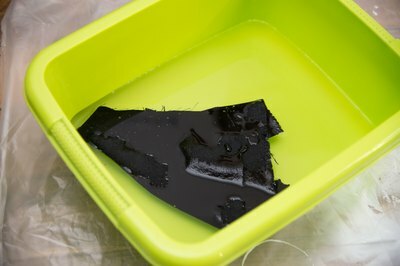 Leave the fabric on your work surface to dry for about an hour. Run the fabric through a regular machine wash and low-temperature tumble dry cycle. 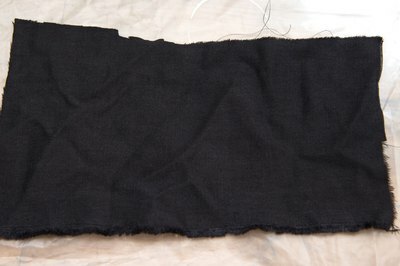 Keep it separate from other fabric for this initial wash. If desired, you can allow it to air dry instead. 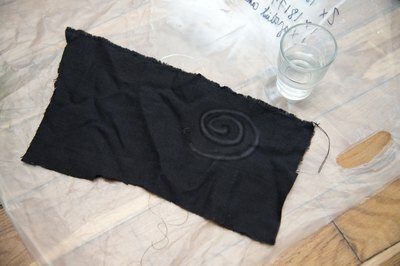 Is There a Way to Fade Acrylic Fabric? 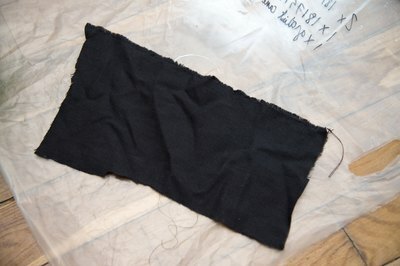 What Kind of Paint Can Be Used on Fabric?